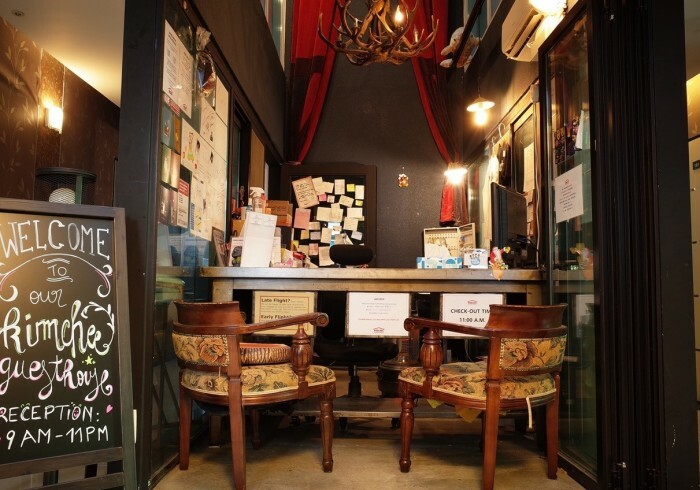 Kimchee Gangnam Guesthouse is a fun, friendly, and stylish guesthouse in Gangnam, Seoul. We have great facilities, set in a beautiful building which incorporates bold interior design and elegant architecture. We like to think of our guesthouse as more than just a place to sleep; It’s a play to stay and meet other travelers from around the world. Including an on-site cafe, and with space for over 100 guests, Kimchee Gangnam can get very lively! Check our AVAILABILITY and BOOK NOW at Kimchee Gangnam Guesthouse!